At CCTV Camera Pros, we regularly hear from people that need help saying “my CCTV camera is not working”. Here is a guide for CCTV troubleshooting no picture issues. 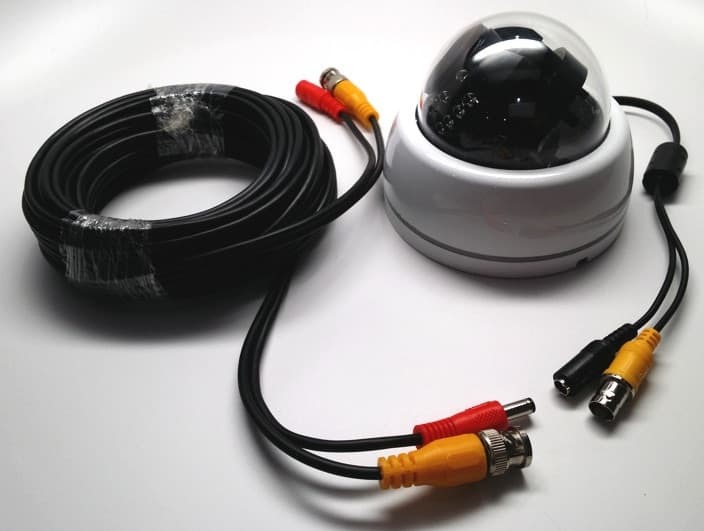 The guide is used for hard wired security cameras that use BNC connectors and coax cable. It applies to analog CCTV cameras and HD coax security cameras. Here are some initial questions that you should answer when troubleshooting a security camera that has no video image. Is this an existing camera that was working and at some point had video loss? Follow these troubleshooting steps. Is this a new security camera or DVR? Do this first. Before you go through the trouble and expense of buying a test monitor or a spare CCTV cable, I recommend that you check to make sure that you do not have a power supply problem. Many CCTV systems include individual DC power transformers for each camera (like the one in the above image). If you do not have a spare, you can find security camera power supplies here. Be sure to look at your existing power supply to confirm whether it is 12V DC or 24VAC. Most are 12V DC. Disconnect your existing power supply from the cable and attach your spare. Plug it in and test to see if you camera now displays video. If your security camera system uses a CCTV power supply box, I recommend that you check the fuses inside the box. The above image shows the inside of two CCTV power supply boxes. The one on the left uses traditional one time use fuses. 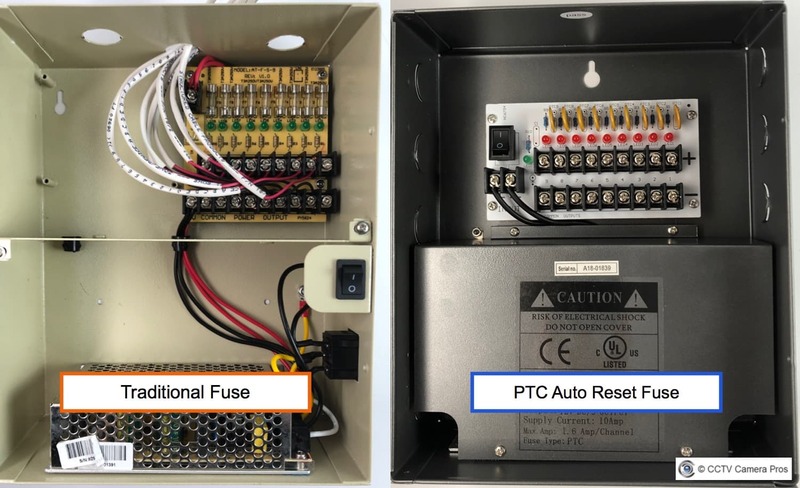 The one on the right uses PTC “auto reset fuses”. Both types have an on / off switch the control power to the entire unit. Follow these steps to troubleshoot your power supply box. Make sure that the the power switch is turned on and the LED status lights are on. If your power supply box uses traditional fuses, confirm that none of the fuses are burnt out. If one is burnt out, the LED light under that particular fuse will be off. You should replace the fuse. If your power supply box uses PTCs, instead of fuses, confirm that the LED light are on for all channels. If they are not, you may have a short circuit somewhere. Disconnect each camera one at a time to see which one is causing the problem. Confirm that the wire power connections are securely in place and have not become loose or disconnected. This is uncommon, but it is possible that one of the BNC video input ports on your DVR went bad. It is a simple thing to test, so you may as well give it a try before you spend time on the other troubleshooting steps. 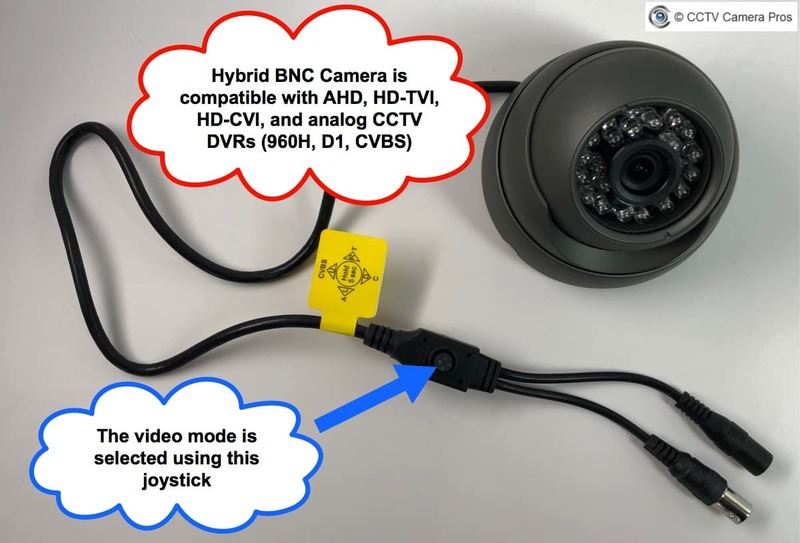 Simply disconnect the BNC video connector of the troubled surveillance camera from the back of your digital video recorder and plug it into one of the ports where a working camera is plugged in. Plug the BNC connector of the camera that is working into the port of the camera that is not working. Does the working camera show video on the other BNC port? Does the troubled camera display video on the other port? If the troubled camera works and the camera that was working does not work, then you have a bad input port on your DVR. If you have confirmed that your power supply is working properly and that the ports on your DVR are also working properly, the next step would be to determine if you have a bad power or video cable. Using a test monitor is one way to do this. A CCTV test monitor is extremely helpful when troubleshooting camera video issues. One of the most common problems when a camera is not displaying video is a bad cable or BNC connection. Using a test monitor, you can temporarily eliminate the power and video cable that your camera is using. Many CCTV testers, like the one above, have a 12V DC power output that can be used to supply power to your camera. Here are the steps that I recommend if you are going to use a test monitor to troubleshoot. 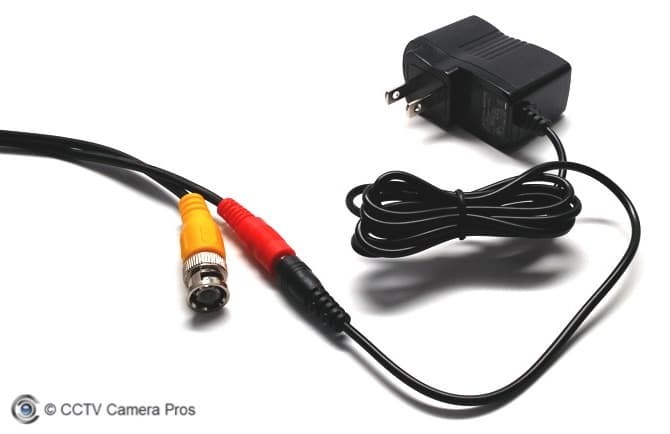 Disconnect the video cable from your camera and use a short RG59 BNC jumper cable to connect the video output of the camera to the BNC input of the test monitor. If your camera is already mounted and connected to a power supply, I recommend that you first only connect the camera’s video to the input of the test monitor. If you do not get a video signal, disconnect the power cable from your camera. If you have a test monitor that can supply power to your camera, connect the power output of the monitor to your camera. 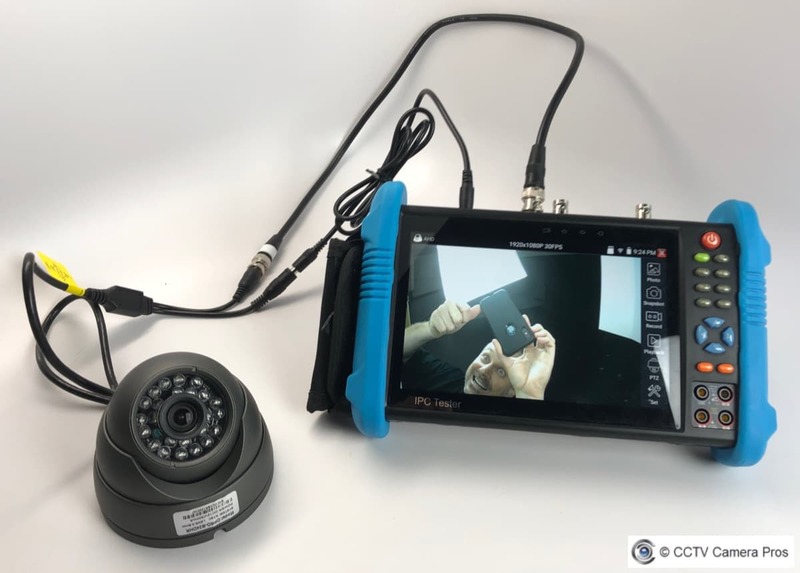 The MON-7HD test monitor in the above image includes a short power jumper cable used to connect your camera’s power input. You can see the cable being used above. If you are using a test monitor that does not have power output, I suggest that you use a spare CCTV camera power supply to temporarily power the camera. If you do not get any video signal after switching the video cable, power cable, and power supply, you most likely have a bad camera. If you have a spare camera, connect it to the test monitor to make sure that it is working properly, then connect it to the existing cable and power supply of the camera you are replacing. *Important Note: if you are replacing your camera, make sure the replacement camera uses the same type of power supply before connecting it. If your previous camera used 24VAC and you connect a 12V DC camera to a 24VAC power source, it will burn the circuit board and ruin the camera. If you do not have a test monitor, I recommend that you use a spare cable for testing. These pre-made Siamese CCTV camera cables are a great choice. They allow you to run both the video and power. Using a test cable will be feasible only if your existing cable run is not longer than 165 feet – the max length that pre-made CCTV cables are made. Here are the troubleshooting steps that I recommend if you are going to use a spare cable. Before you go through the trouble of unwinding and running a spare cable from your camera to your DVR, I recommend that you check your existing power supply. Confirm that your spare cable is long enough to reach from your camera to the DVR or monitor that it is connected to. Disconnect only the BNC video cable from your camera and attach the spare cable. Disconnect the other end of the video cable from your DVR or monitor and attach the spare cable. Test to see if there is video. If there is still no video, use the power portion of the spare cable to run the power. If still no video switch out the power supply. If there is still no video, you most likely have a bad camera. If you recently purchased a new DVR or a new security camera, you should confirm that the video format(s) that they support are compatible. We find that many customers have purchased a 720p or 1080p replacement camera for their 960H DVR. This will not work. If you have an analog 960H DVR, you can only use a CCTV camera that supports analog 960H video. Many of the latest DVRs and cameras are “hybrid” which means they support multiple surveillance video formats. The above image shows a hybrid analog CCTV / HD dome camera. Notice the small joystick that is attached to the video cable. The video output of the camera can be switched by holding the joystick up / down / left right for 5 seconds. This particular camera supports AHD, HD-TVI, HD-CVI, and analog 960H (CVBS) video formats. If you are using a 960H type DVR that only supports analog video (CVBS), you must a hybrid camera in analog CVBS mode for it to work with your DVR. You will most likely need to consult the owners manual of your DVR to know what video format(s) it supports. If you need help researching security camera and DVR compatibility, you can contact me via email. Please let me know the make and model of your DVR and camera. If you need to buy a replacement CCTV camera, I highly recommend these hybrid BNC security cameras – especially if you are using an analog 960H or D1 format CCTV DVR. These hybrid cameras support analog CCTV format and multiple HD video surveillance formats. 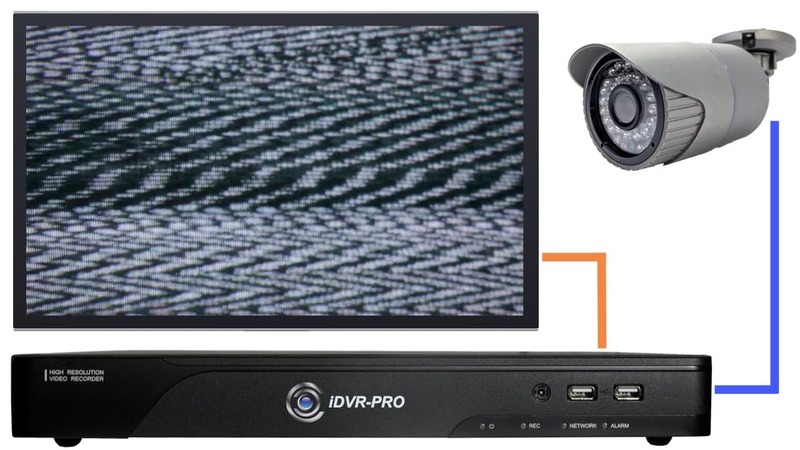 They can be used in analog CCTV mode with your existing DVR and later switched to one of the HD video modes if you upgrade to an HD surveillance DVR. 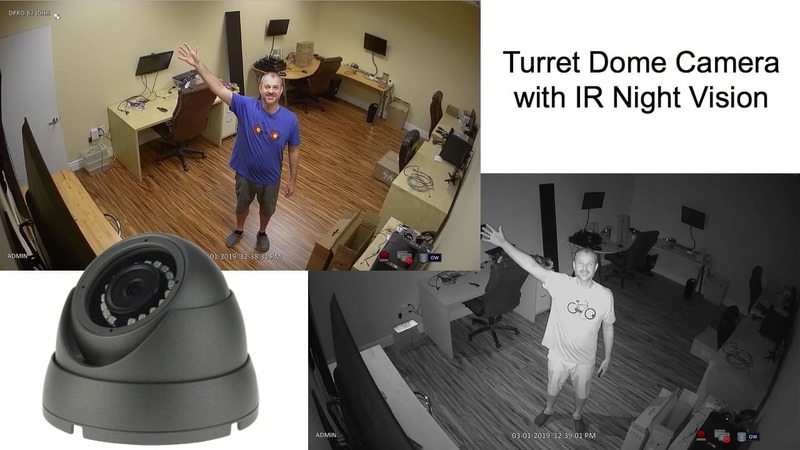 Here is a video surveillance demo of one of our best selling turret dome security cameras. The video was captured with the camera in 1080p / 2 megapixel AHD video mode.